In the 9th inning of an Athletics-Indians game Adam Rosales hit an out-of-the-park double. Yes, it went totally over the fence. 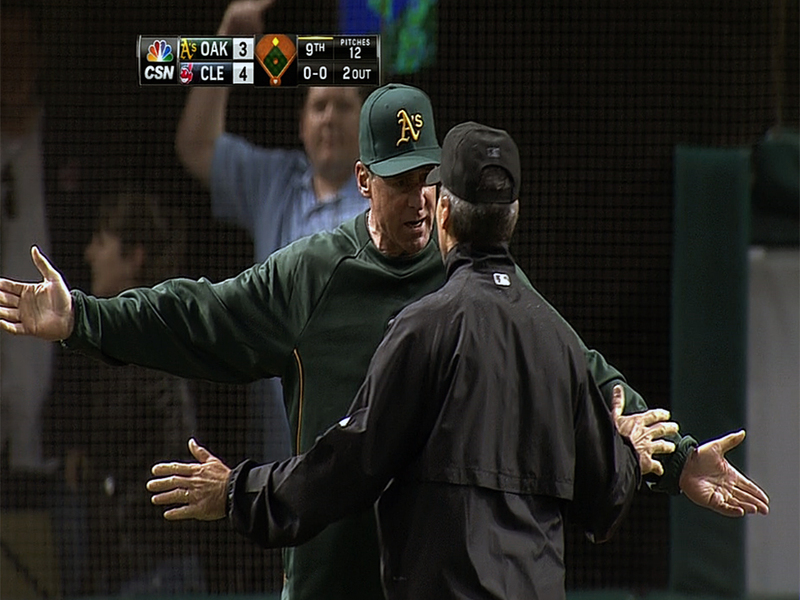 The umpires even used instant replay after A's manager Bob Melvin came out of the dugout. When they ruled the hit a double, Melvin argued and was ejected. MLB has ruled that the call stands, as it was still up to the umpires.